Upper Iowa University has been recognized for offering the Top Online MBA Program in Iowa by Online MBA Report. The website evaluated over 300 online MBA programs nationwide in their rankings. The criteria used in creating the rankings included academic reputation, value related to tuition, relative MBA program enrollment, admissions selectivity, and program quality and rigor. Online MBA Report noted that the UIU School of Business offers a 36-credit-hour online MBA with a unique emphasis in Human Resource Management (HRM). The emphasis is recognized by the Society for Human Resource Management (SHRM) and aligns with SHRM Curriculum Guidelines. Other emphasis areas include accounting, corporate financial management, general management, and organizational development. The General Management emphasis consists of graduate level courses students select to fit their career or personal education requirements or needs. Students are required to choose one area of emphasis. The UIU Online MBA is divided into three areas including the Core, Emphasis and Research Seminar. The Research Seminar is a capstone experience in which the student prepares a researched report, demonstrating the integration of knowledge and skills learned in the emphasis and throughout the program. Other program highlights include zero campus residency requirements, five 8-week sessions and an accelerated 6-week summer session, and asynchronous courses that allow students to attend class anytime during the day or night. 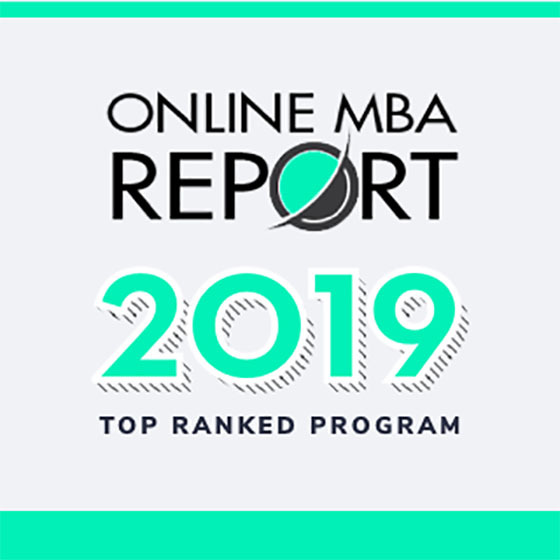 Launched in 2013, Online MBA Report organizes all online MBA programs so that prospective students have insight into the many different types of programs available to them. The website’s rankings are intended to serve as a starting point for these students to identify the most appropriate programs for the individual. To learn more about all of UIU’s educational programming and services, visit uiu.edu.